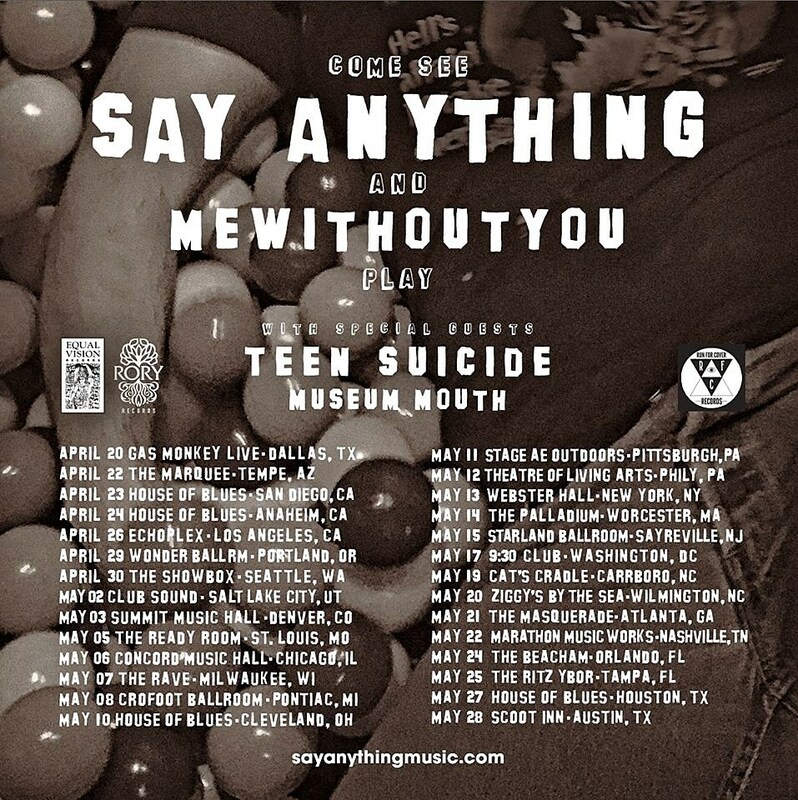 Say Anything have announced a headlining tour for the spring, and like they’ve been doing a lot lately, they’re bringing along a killer batch of openers. 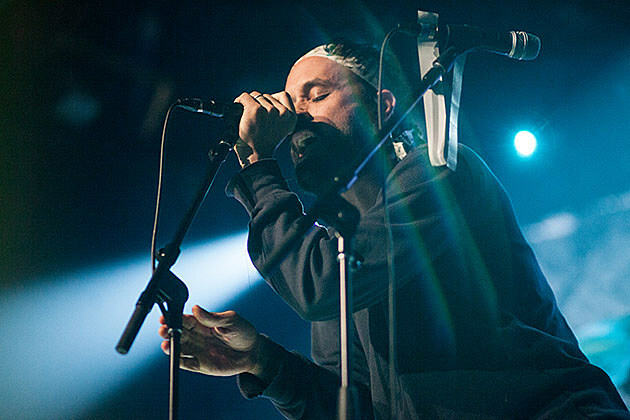 mewithoutYou (who made one of our favorite albums of 2015 and whose singer is on the last Say Anything record) are co-headlining, and additional support comes from lo-fi punk bands Teen Suicide and Museum Mouth. The tour hits NYC on May 13 at Webster Hall and NJ on May 15 at Starland Ballroom. Tickets for the whole tour are on artist presale now, and the general on-sale for Webster and Starland begins Friday (1/15) at noon.